Best Israeli documentary went to ‘Jonathan Agassi Saved My Life’. The company is screening ’The Love Letter’ in the Short Film Competition. 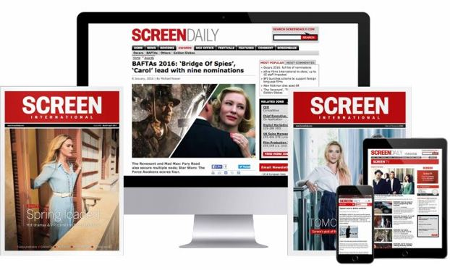 Read Screen’s daily magazines from the 35th Jerusalem International Film Festival here. Shlomi Elkabetz has boarded ground-breaking project. Geffen won the Camera d’Or in Cannes in 2007 with debut feature ‘Jellyfish’. Heymann brothers to direct latest instalment from Scott Free. The Center adds about 600 to 800 films per year to its library. Avishai Sivan’s Lot’s Wife scoops top award. Panelists also discussed the volume of film content submitted to festivals. Jerusalem Think Fest: how do film festivals navigate complex political climates? Festival professionals debate government influence. New Europe has recently represented Israeli titles including One Week And A Day and Scaffolding. Project comes from Mr Gaga filmmakers the Heymann brothers. The film explores the birth of Israel’s controversial religious political party Shas in the 1980s. Lab ran outside of the Jerusalem Film Festival this year. Film premieres in the festival’s Israeli Feature Competition on Friday (July 27). What next for the Jerusalem Film & Television Fund?